The Calcite Rock has turned out to be one of my favourite pieces from the autumn collection. I love the rich green, mustard yellow and brown colours and if you look at it up close you can see the granulations. 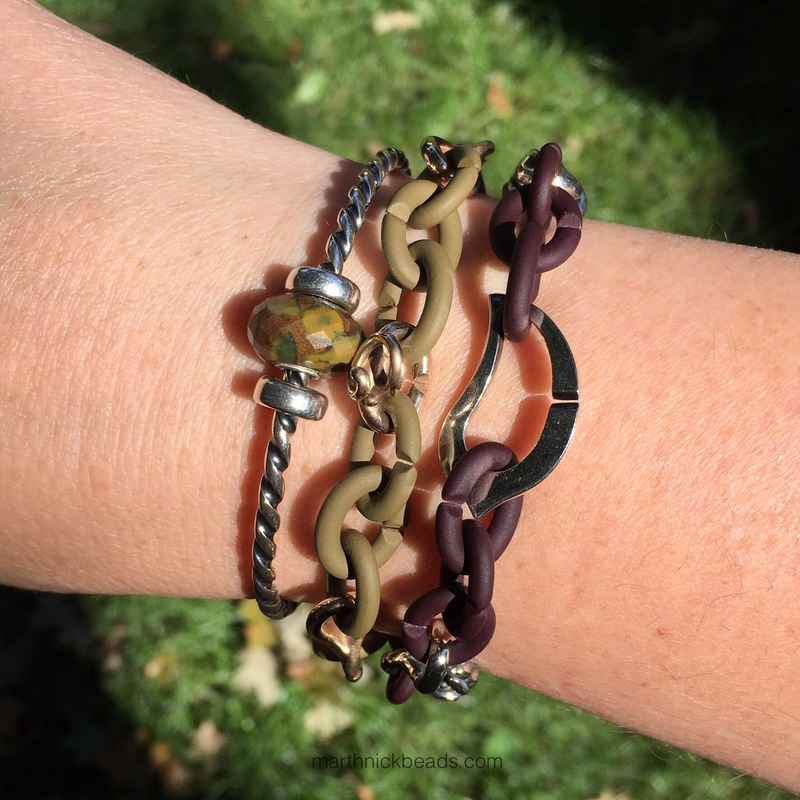 I tried it on the Twisted Silver Bangle with the Khaki and Brown X Links. Yes, those are the brown ones even though they look more like a plum shade! But I think it looks even better on copper. 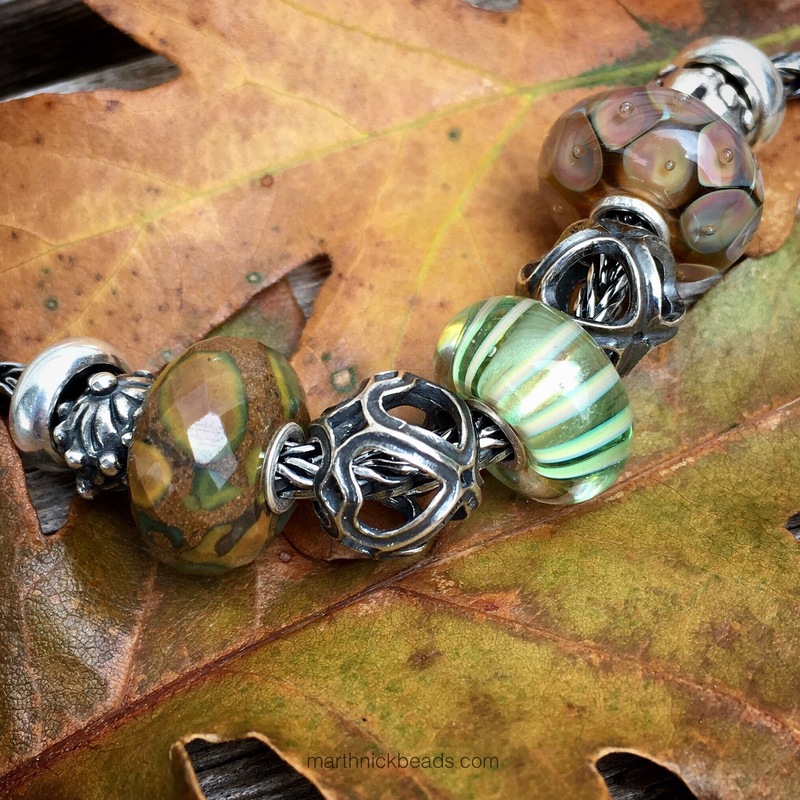 The bead on the left is Soul of Waves and on the right is Wild Flowers. 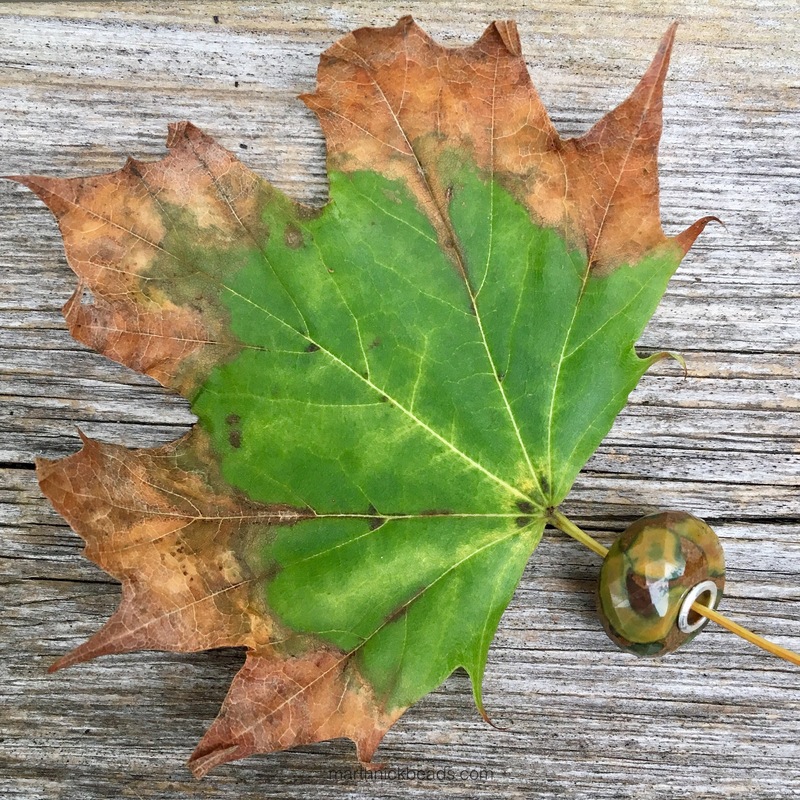 The oak tree in our backyard is starting to lose its leaves hence all the leaf pictures. Here it is with the Soul of Sunshine on the left and Magical Lamp on the right. Personally, this is my favourite combo of the ones here today. Sticking with a leaf theme, there are also lots of maple trees in the neighbourhood. I also tried it on my beige and brown leather bracelet and think it looks okay, but not stunning. I’ve added in the Mexican Sugar Skull and the Smoky Quartz Tassel. Here is the Calcite Rock with Sandstone on the left and Cozy on the right. I really love Cozy and need to use it more! My second favourite look is with the green Wise Bamboo, which was a bit of surprise as I didn’t think it would work. 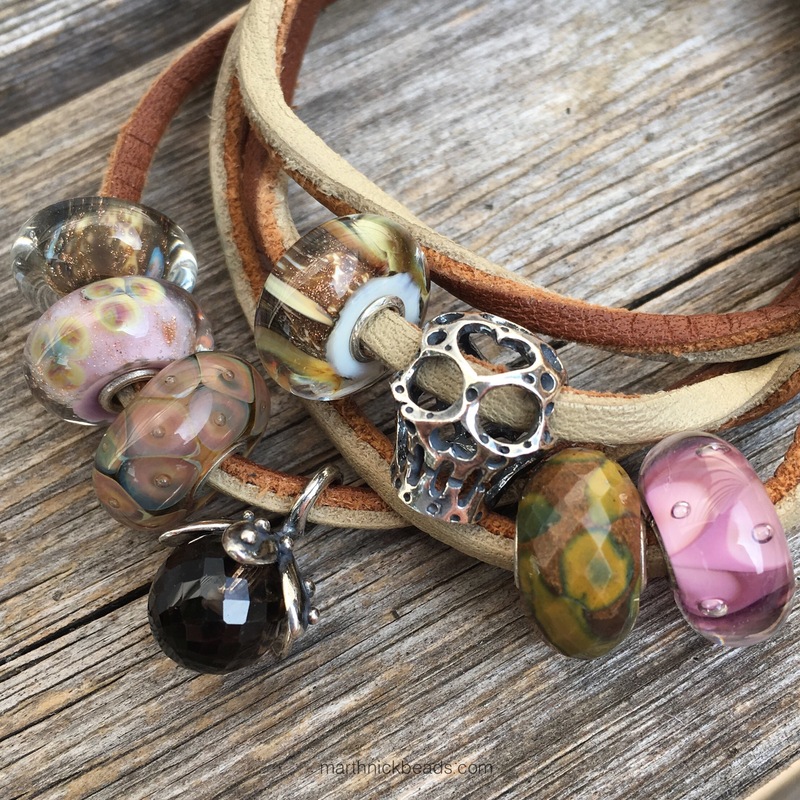 Left to right are Quiet Flower, Calcite Rock, Symphony of Hearts, Wise Bamboo, Rise Together, Nature Unity and Pumpkin Ornament. So, is the Calcite Rock one you like at all? 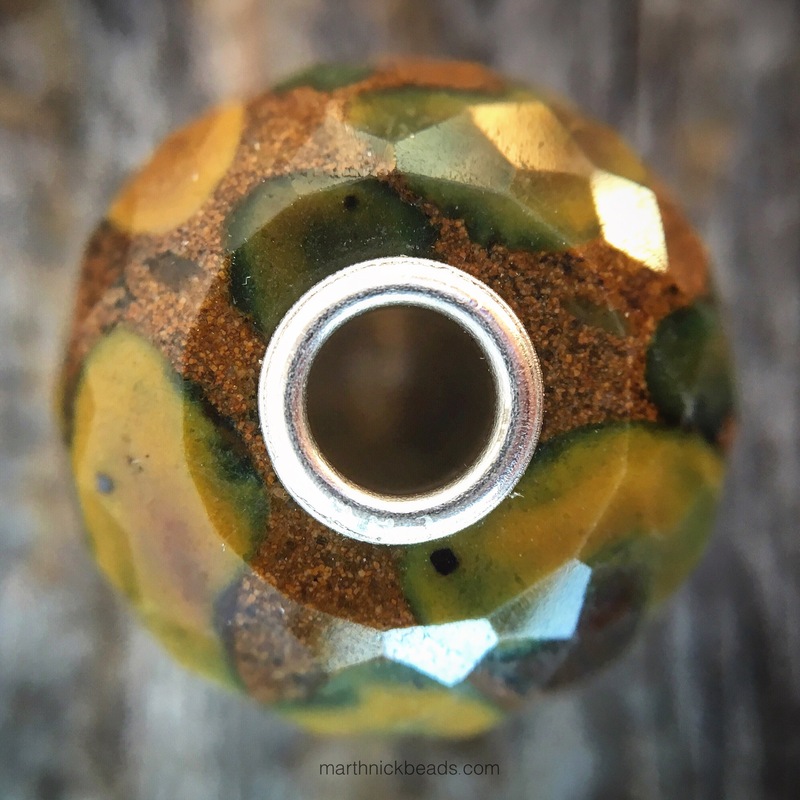 It’s quite different for those of us who mostly use glass beads, but I really like it! Below is another silly movie, this one a fairy tale of the bangle with no beads. 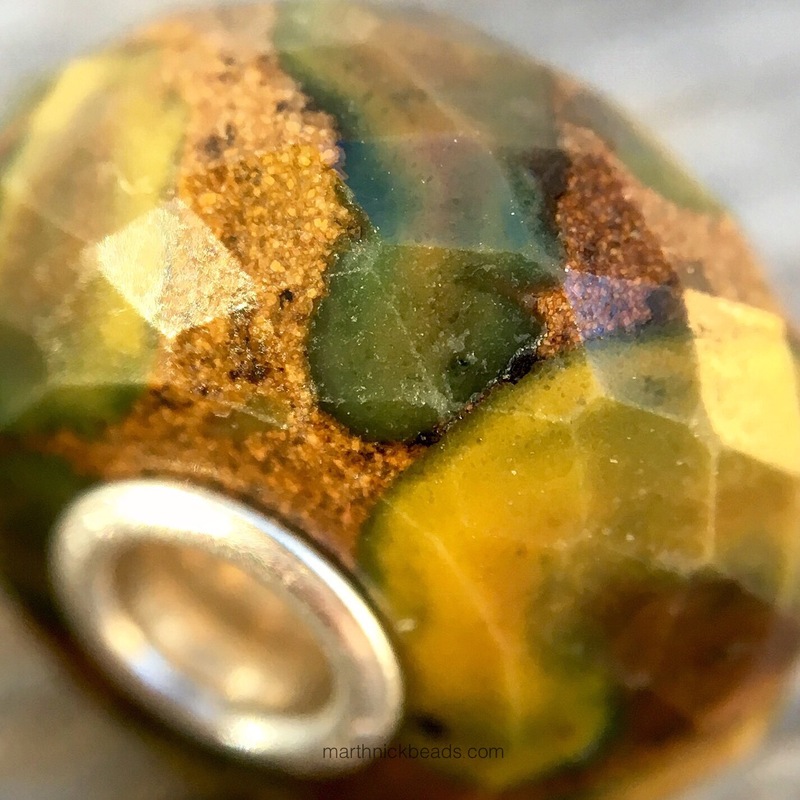 On Instagram a group of ladies from around the world (Germany, USA, Russia, Japan, Korea, etc) have a weekend beads theme where anyone is encouraged to join in. This week it was movies and beads, so I made a movie. It’s very goofy but make sure your sound is up! As ever, your photos are inspirational! I don’t have any stone beads , and this one is wonderful with all of the different combinations you came up with. 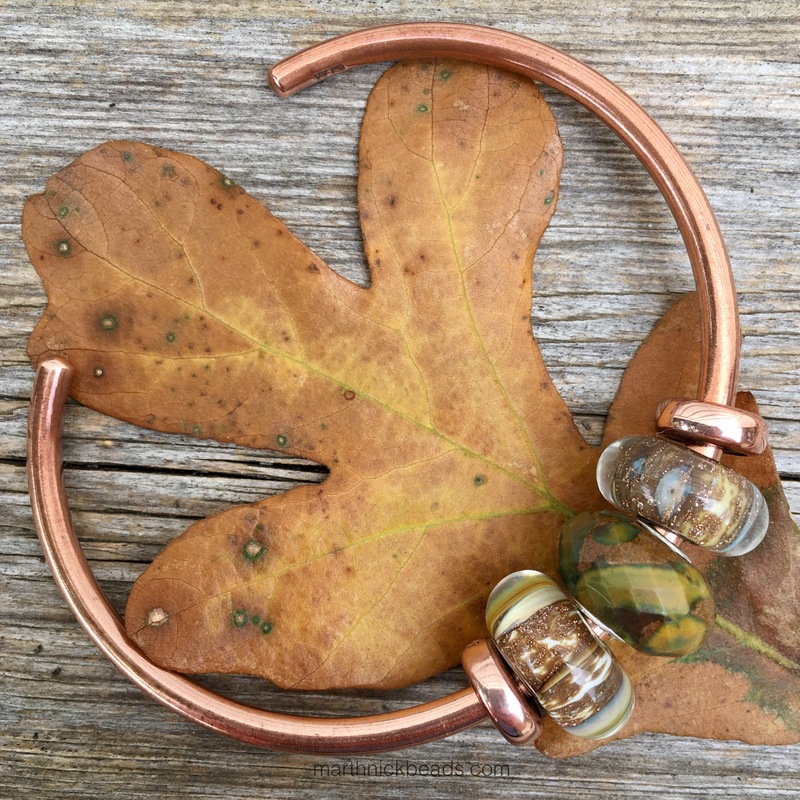 It is beautiful on the copper bangle with Wise Bamboo. As Autumn has begun, I seem to want to move towards these colours, but that would be a very expensive trip for me! 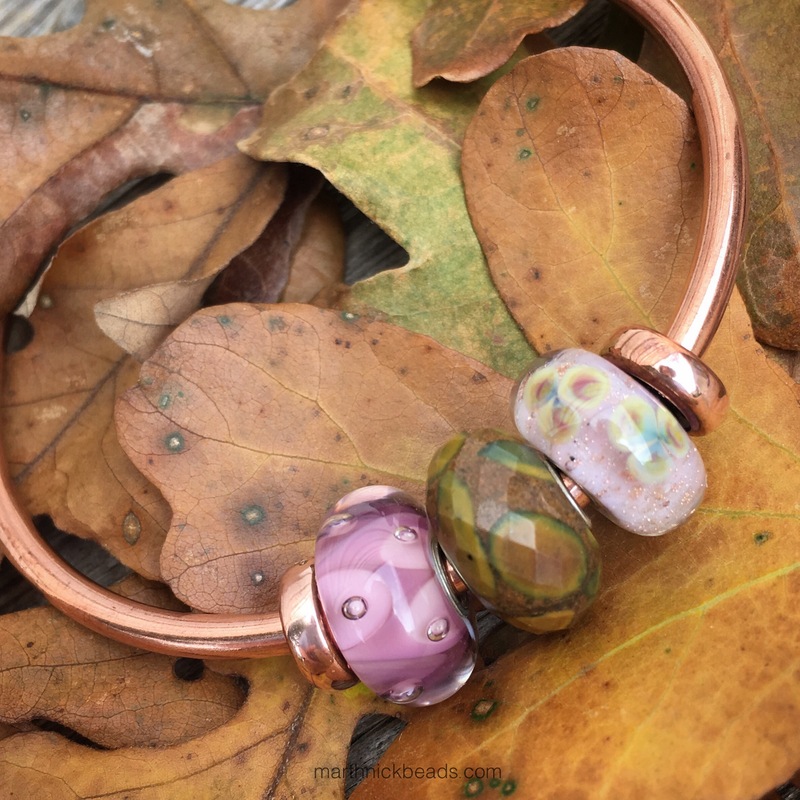 I might just buy it and wear in on my Trollbeads bangle by itself. I will probably buy the Azurite bead first because I have more beads which would compliment it. Sarah, I think it’s a great idea to wear a stone all by itself so it can be appreciated. 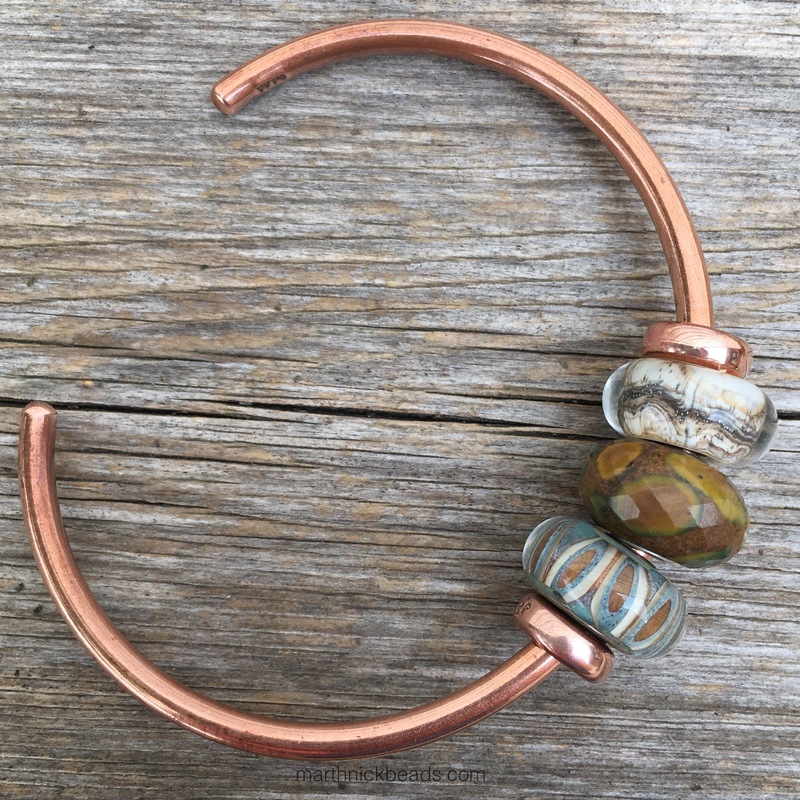 Now I’m thinking just the Calcite Rock on a bangle plus my single brown leather bracelet with one silver bead might be nice for the cooler weather.